The Florist, a contemporary new bar and restaurant has announced it will open in Liverpool on 23rd April 2018. Situated on the site of the former Old Blind School pub, The Florist breathes new life into the stunning Grade II listed building, once home to the Royal School for the Blind. 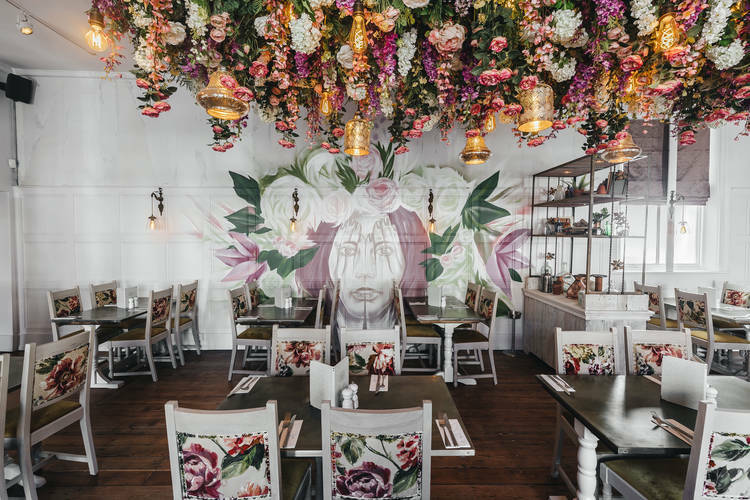 The Florist is set to charm the city with breathtaking floral installations, which are sure to be Instagram gold and like nothing Liverpool has ever seen before. From the moment visitors step into The Florist, they will be transported into a fairy tale, thanks to the impressive décor and artwork. Contemporary artist Gemma Compton and graffiti artist Jody Thomas have also been hand-picked to create bespoke pieces for the new Liverpool site - thanks to the overwhelming reception their previous work received. Harmonious with The Florist brand, their work aims to create a sensory experience to enchant the senses. The Florist is a stay all day and night hang out, offering customers a vibrant food menu, a spectacular menu of instagrammable cocktails, nightly DJ’s and saxophonists to take the tempo up to a sophisticated party atmosphere. General Manager of The Florist, Joel Lee said “The Florist needs be seen to be believed how pretty and light the site has now become. We know it is going to become the place to be in Liverpool and we can’t wait to open. We have so much to offer, from the extensive cocktail menu inspired by the three key styles of floristry: English Summer Garden, Ikebana and Modern Contemporary, with herbal twists taken fresh from the garden. 60 hand-picked beers and a vibrant food menu, consisting of mouth-watering deli, rotisserie and grill-inspired dishes, with plenty of gluten free, dairy free and vegan options to cater for all. We will also be open for brunch on Saturdays and Sundays from 9.30am. Follow The Florist on Instagram @thefloristuk and step into a sensory world of floral delights from start to finish.